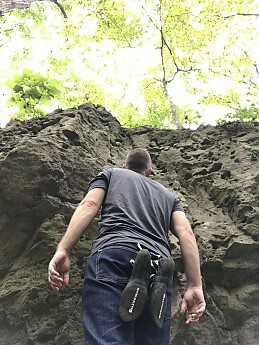 The Boulder Denim jeans are aimed at the office to outdoor crowd—those people who are looking for a pair of pants to go from the job to the crag without having to change in between. 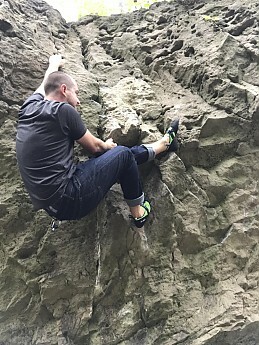 These are as close to perfect a pair of casual pants as I’ve ever worn and highly recommend them for anyone looking for a pair of jeans to run the gauntlet from business casual to the climbing granite runway. There are two types of people in this world—there are the good beer drinkers and the Coors light crowd, the overhand or the underhand on the toilet paper roll AND the climb in jeans or not climb in jeans crowd. The first two answers are pretty black and white. There’s a right answer—craft beer, overhand, and a wrong answer—you must be borderline psycho to go underhand. For the longest time I haven’t been able to climb in jeans for a couple reasons. One, I’m of the overly sweaty variety. Having to wear any extra clothing that traps in heat, especially in the summer, goes against my religion. Two, I’ve never worn anything stretchy enough to not feel like it was hindering or restricting movement. These pants solves at least one of those two problems. These aren’t your pair of old Levis. 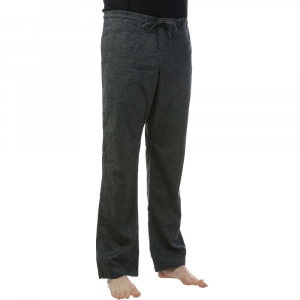 They feel more like if your coziest sweatpants and jeans had a baby together. 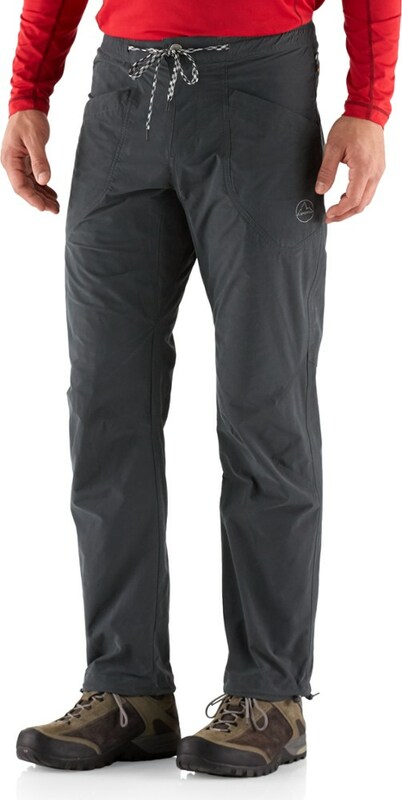 The Boulder website is very cryptic about how they’ve made these so incredibly stretchy and comfortable. 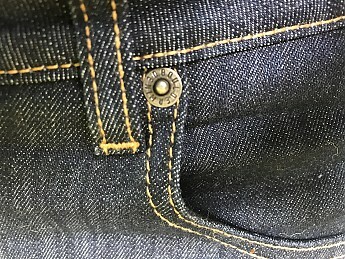 The tag on the interior of the jeans says they are a mix of %93 cotton, %5 Elastrell/poly and %2 spandex. I would say they fit a little slimmer than most jeans I previously owned, (I say previously because I haven’t worn another pair of the seven or eight jeans I own since getting these, but the give in the fabric more than accommodates that. If we’re assigning grades I have to give these jeans an A+ with an asterisk. 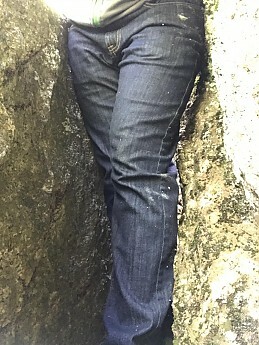 I had to size up to a 34-inch waist which Boulder only offers in a 36-inch inseam. It was only a couple extra bucks a local tailor to get them to an ideal fit, but I’d love to see them offered in a 34-inch inseam. I did just live with them rolled up for a couple weeks, but once I realized that they were now the comfiest and best fitting pair of pants I owned I decided the couple extra bucks to hem them was well worth it. Another thing I was highly skeptical about was the lack of a gusseted crotch. 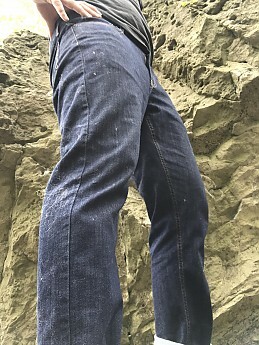 Boulder Denim doesn’t make any of its lines with a gusseted crotch, instead claiming that the stretch of their jeans was enough to make even the most dynamic movements unhindered. Before receiving these jeans I was all prepared to go on a rant about their omission…(insert foot into mouth). These things work some kind of miracle into their threads. On a recent trip I was able to pack one pair of pants to wear for everything. You can climb or hike or bike by day, brush off the dirt and chalk, and wear them to a nice dinner by night. For anyone active who also travels a lot and can get away with a business casual look these are your one stop shop. The other reason I love these as a do-it-all pair of pants is the shape retention. I’ve washed them twice in four months. They look and fit the exact same today as they did when I got them—no sagging, no stretching, no smells. They do say to be careful when washing as the dye used in the jeans can run. I washed them alone to be sure and haven’t had any problems. Everything about these shows an attention and concern for the small details. From the perfect stitching—everything is straight and trimmed, and backed by their “no ripped seams guarantee” (if part of the seams becomes ripped they will fix it or replace it for free)—to the use of a synthetic patch rather than a leather (no use of animal products = vegan friendly) and of course “Made in Canada” (a personal favourite as it drives up a Canadian economy, creates local jobs, and abides by strict Canadian environmental and labour laws). Jeans are about as tried and true as a product can be. Still though, Boulder has found another improvement to be made. 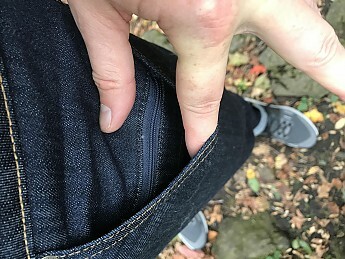 In the grand scheme of jeans it’s a small one, but the tiny, what I’d normally call the “coin pocket”, has an added zipper and much more size. Normally I find those little pockets just get in the way and I can’t fit my fingers, let alone hands, in them, hence they are never used. Boulder has made that pocket big enough to fit my iPhone 7 or a passport. It’s just another useable upgraded feature but it’s certainly helpful. I’ve worn these jeans on too many occasions to count. It’s probably in the hundreds after only a couple months. There have been no rips or tears in the fabric, even after the abrasion of both indoor and outdoor climbing. There’s been chalk, dirt, and even yogurt from my kids rubbed into them. They are about as reliable a pair of pants as I’ve ever owned. As far as laundering I haven’t treated these any different, or specially. They were washed once on their own, as suggested (the dye can run onto other garments), and once as I usually would—warm water, regular detergent, dried on high in the dryer. No babying is needed, although I’m sure line drying would increase the lifespan. There are only a very few things I’d love to see going forward. I can not for the life of me see a way to improve these jeans as they are now. 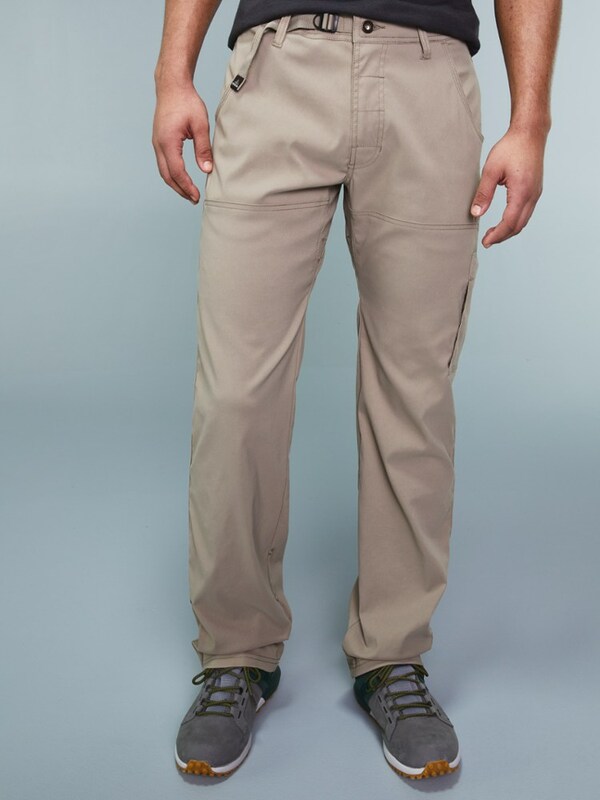 My only suggestion, and this may be more a matter of development of the existing product line, is to offer more options in the inseam length/waist size and a variety of colours. I’d love to see a lighter wash or a dark grey/black pair; I’d immediately be a repeat customer. The only other thought I had was that maybe the DWR was superfluous. DWR’s only work for a very short span, often only until you get them dirty, which on a pair of jeans, especially ones that you wear often, is not very long. I’m not sure there are any negatives to having it applied (maybe cost), but I also haven’t noticed any stain-saving spills. 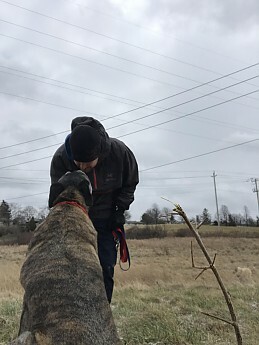 I am a six foot, 170 lbs male. 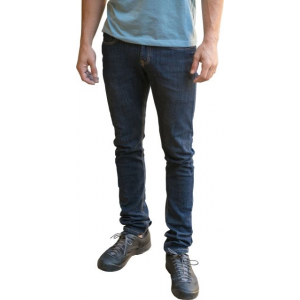 I originally was sent a pair of Boulde Denim's Slim Fit jeans, but switched them out for the Athletic Fit (highly recommend) in a size 34/36 and had them tailored about two inches. The jeans have been worn heavily throughout the past four months, everything from daily wear to climbing, bouldering (! ), hiking, commuting, and travelling. 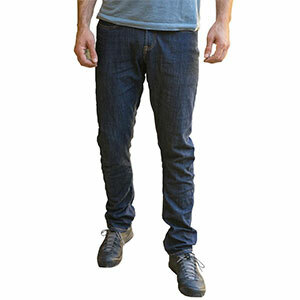 I'd like to thank Trailspace and Boulder Denim for the opportunity to test out these jeans. I'm sitting here reading your review with a Miller Lite in my hand. I'm not sure I can vote this review as useful. :P Nice write up, Jake. But I prefer craft beers! I brought my pair on a summer trip to Iceland. 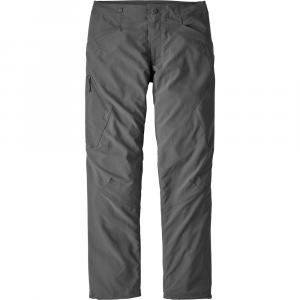 They make for an excellent travel pant since you can hike and be active in them and also dress them up enough to go to dinner. Hey what's the weight of the fabric, Jake? 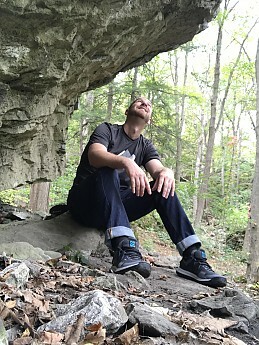 Alicia- I had a hard time writing the review to begin with because there is kind of a stigma of the "adventure jeans" but these are just too good. 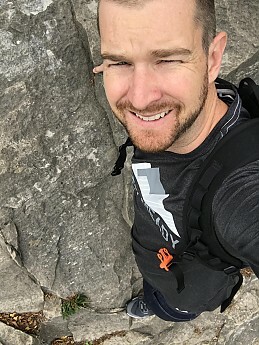 Obviously not for the more demanding extremes like a mountaineering trip or an extended multi day backpacking trip, but almost anything else can be done comfortably from day hikes to climbing or biking. Goose- we'll let it slide this one time! Pillow- couldn't find the weight listed anywhere. They feel relatively light compared to say a Levi's 501, but not so light as to feel fragile. I'd call it a medium weight. It's not something I've given much thought to, as they're neither super light nor heavy and stiff.